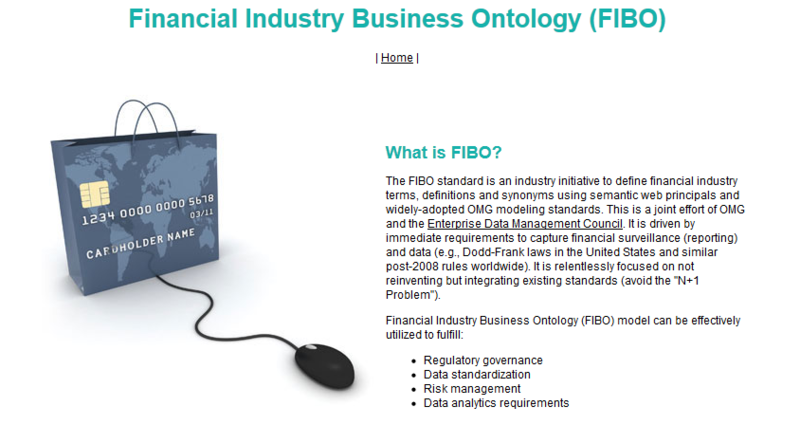 Last week, I attended the FIBO (Financial Business Industry Ontology) Technology Summit along with 60 others. The effort is building an ontology of fundamental concepts in the financial services. As part of the effort, there is surprisingly clear understanding that for the resulting representation to be useful, there is a need for logical and rule-based functionality that does not fit within OWL (the web ontology language standard) or SWRL (a simple semantic web rule language). In discussing how to meet the reasoning and information processing needs of consumers of FIBO, there was surprisingly rapid agreement that the functionality of Flora-2 was most promising for use in defining and exemplifying the use of the emerging standard. Endorsers including Benjamin Grosof and myself, along with a team from SRI International. Others had a number of excellent questions, such as concerning open- vs. closed-world semantics, which are addressed by support for the well-founded semantics in Flora-2 and XSB. Thanks go to Vulcan for making the improvements to Flora and XSB that have been developed in Project Halo available to all! In Vulcan’s Project Halo, we developed means of extracting the structure of logical proofs that answer advanced placement (AP) questions in biology. For example, the following shows a proof that separation of chromatids occurs during prophase. Now how does all this relate to pedagogy in future derivatives of electronic learning software or textbooks, such as Inquire?